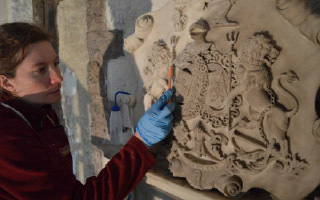 Following the stunning restoration of the ‘Gas Lamp Monument’, adjacent to the Royal Lymington Yacht Club, a second memorial to Sir Harry Burrard Neale has been restored – that adjacent to the High Altar in St. Thomas’ Church, where he is buried. SACRED TO THE MEMORY OF SIR HARRY BURRARD NEALE, BARONET, OF WALHAMPTON, ADMIRAL OF THE WHITE, KNIGHT GRAND CROSS OF THE BATH, AND OF THE ORDER OF ST. MICHAEL AND ST. GEORGE. HE REPRESENTED THE BOROUGH OF LYMINGTON IN PARLIAMENT FOR THE SPACE OF 40 YEARS, AND DIED AT BRIGHTON ON THE 7TH DAY OF FEBRUARY, 1840, IN THE 75TH YEAR OF HIS AGE. WHOSE MORTAL REMAINS REST BLESSEDLY, NEAR THIS MARBLE. UNDER THE SURE AND CERTAIN PROMISE OF THE RESTORATION TO ETERNAL LIFE, THROUGH OUR LORD JESUS CHRIST, WHO SHALL CHANGE OUR VILE BODY, THAT IT MAY BE LIKE UNTO HIS GLORIOUS BODY, ACCORDING TO THE MIGHTY WORKING, WHEREBY HE IS ABLE TO SUBDUE ALL THINGS TO HIMSELF. It is probable that Sir Harry was the last person to be buried inside the Church, prior to a change in burial regulations in the mid-1840s. 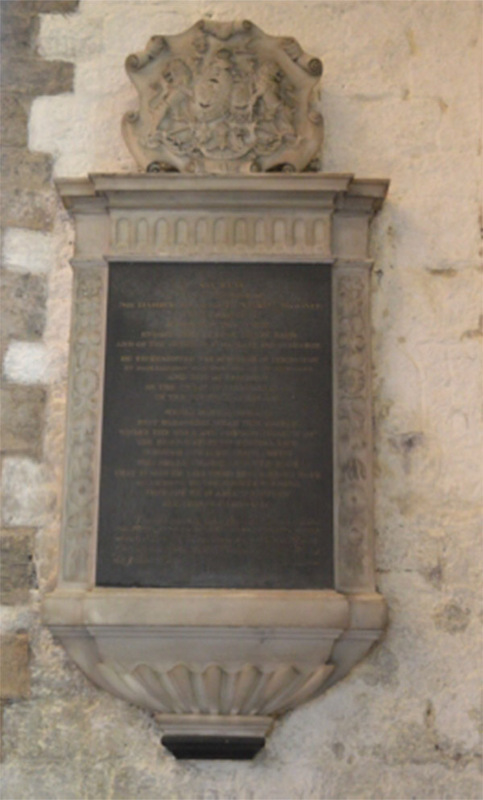 The restoration of the memorial was funded by a grant from the Fulford & Burrard Trust, a donation from ‘The 1805 Club’ and the proceeds from the Lymington Society Concert in May. 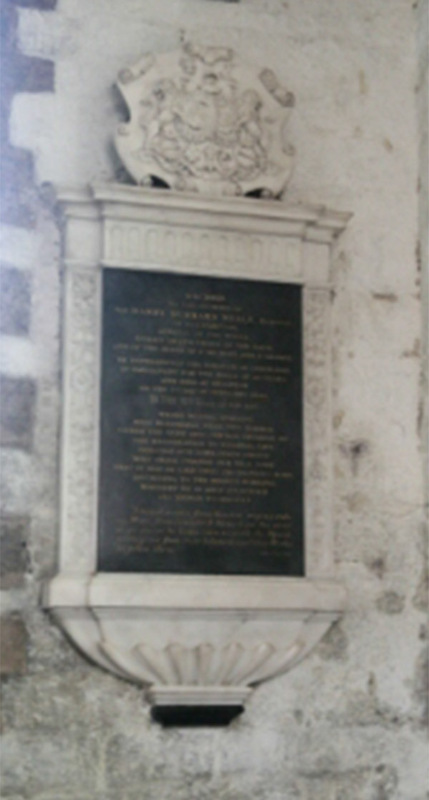 With two Burrard memorials restored, it only remains to tackle the restoration of the 76ft Walhampton Monument!